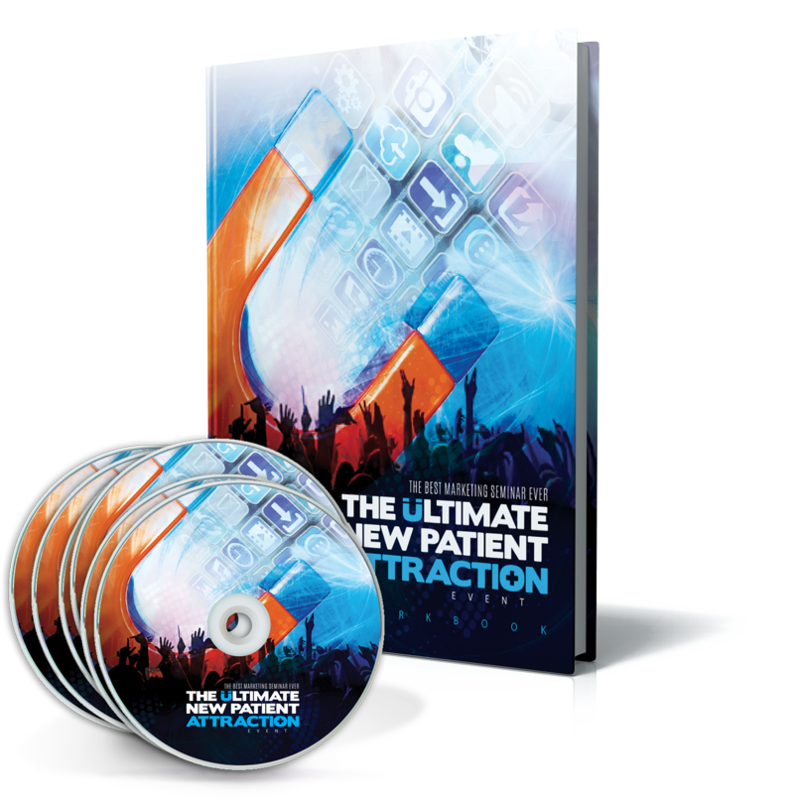 Gain the secrets to attracting New Patients with The Ultimate New Patient Attraction Event on CD and DVD. Fill your “in-between” time and provide your marketer with content guaranteed to stabilize your income by attracting NEW, top quality patients. 1. Every doctor who wants a steady, consistent and predictable flow of new patients every month. 2. Every doctor who is SICK AND TIRED of being anxious, frustrated and overwhelmed with trying to get new patients every month… and would just rather have the ability to ” flip the switch” and have their new patient flow on auto-pilot. 3. Every doctor who’s already successful at getting new patients who wants to “explode” new patients through the roof… and move into a whole NEW income category. 4. Every doctor who just wishes he or she could get “enough” new patients each month… if all you need to do is “pay the bills and have a little left over”… you’ll get EVERYTHING you need. 5. Every doctor that wants to maximize their marketing investments and results or looking to grow their marketing capacity. Plain and simple... if in 12 months after watching The Ultimate New Patient Attraction Event on DVD, you aren’t enjoying the pleasure of a MINIMUM New Patient increase of 20% (MANY doctors in attendance will experience a 100% increase within 30-60 days), I will refund your entire purchase, absolutely NO questions asked! Jay Geier’s 2-Day New Patient Attraction Event on CD & DVD! Gain clarity, confidence and knowledge needed to effortlessly attract a flood of new patients. Jay will uncover strategies, secrets and shortcuts that require minimal time, effort, testing and money. They also attract the MAXIMUM number of new patients in the SHORTEST amount of time and will radically increase your cash flow and decrease your anxiety level in 30 days or less. 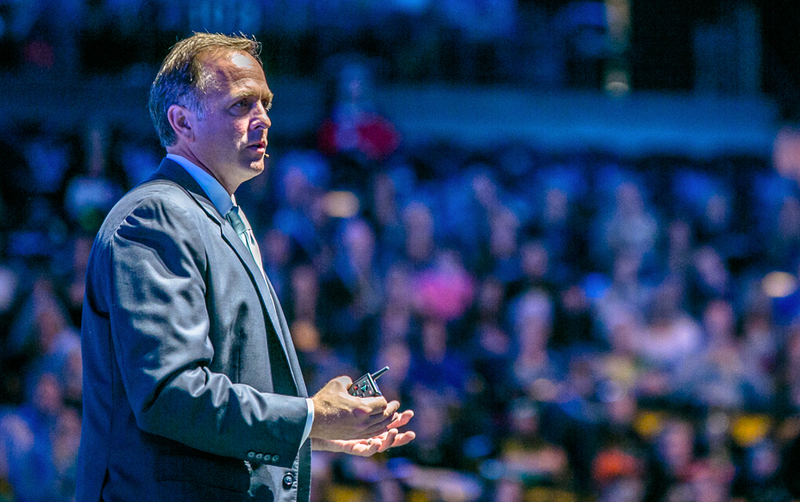 Jay has been in the New Patient Generation business for over 20 years… don’t miss out on the opportunity to learn from the most prolific and profitable New Patient Expert IN HISTORY! Plus, an all-star line-up of speakers that SI has never had: Quinn Tempest, Max Major, Jay Acunzo, and Adam Witty. Learn how to be more persuasive and make marketing, selling and building trust with patients easier than ever. Learn how to direct more traffic to your website and so much more! If you’re serious about increasing your New Patients… your Marketer needs to be listening to this content on repeat. If you’re serious about growing your practice and taking it to the next level… you’re going to need these CDs and DVDs to train your future new hires. 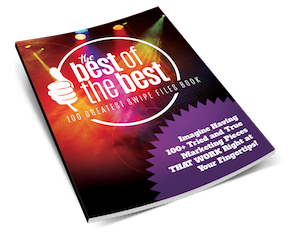 The 100 Greatest Swipe Files Book contains 110 Marketing campaigns that have already been proven to work in offices like yours. 42 Referral Campaigns, 12 Online Review Swipes, plenty of Reactivation, Event, Insurance and Scheduling Swipes. Dr. Gonta’s Swipe reactivated 585 patients in 1 year! Dr. Gooch’s Swipe resulted in a $95,874 ROI! Implement just 1 of the 110 Swipes and experience these results for yourself! Each of the 110 Swipes includes the idea behind the campaign, images of marketing pieces, how it was implemented AND the proven results…This is any marketers dream!